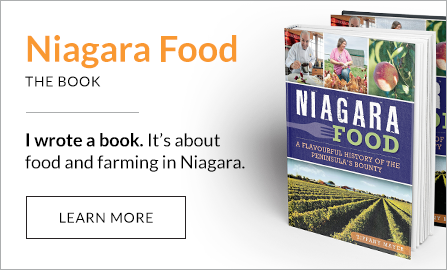 White asparagus is a unique spring vegetable popular in Europe but it's catching on in Ontario thanks to one Norfolk County farmer. This story about white asparagus originally appeared in The Hamilton Spectator. Most farmers depend on Mother Nature to have a good year. Leasa and Peter Janssen depend on the German national soccer team. If die Mannschaft are playing in the World or Euro Cup, the Norfolk County farmers know their white asparagus crop will languish. That’s because as much as it seems written in a German’s DNA to love the wan-looking spears they call Spargel, it’s also in their genes to love soccer more, especially when national pride is on the line. Most of the Janssens’ customers are of German heritage, so the couple knows they’re in trouble when Mesut Özil takes to the pitch in his country’s uniform. 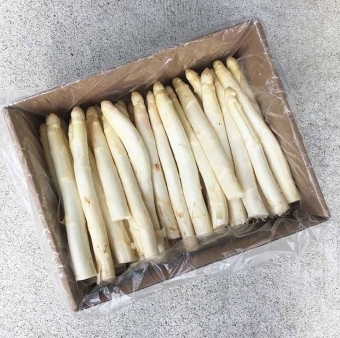 Still, when the craving hits for good and proper white asparagus, there’s only one farm in Ontario growing it: Janssen Produce and Specialties Inc., just outside of Simcoe. Leasa Janssen of Janssen Produce Specialities checks out some of the white asparagus harvested on her family's farm near Delhi, Ont. The trip from Niagara to Norfolk every year is a sort of pilgrimage for me, the good daughter of German immigrants. I return home with an 11-pound box of the colourless vegetable that makes its green cousin dull in comparison. White asparagus are a revelation if you’ve never had them before; habit-forming once you have tucked into a plate of spears dressed with brown butter or cloaked with heart-stopping Hollandaise. And they’re a staple of my diet come this time of year. I love green asparagus, too. They’re fleeting harbingers of spring, kick-starting a long lineup of local fruit and vegetable harvests to come over the next few months. I’ll willingly drive 10 minutes down the road to a local farmer selling bunches of imperfect green spears out of his barn. But I’m downright gleeful about the nearly two-hour, 150-kilometre trek on rural roads to the Janssens’ farm to fetch a haul of fat, juicy white asparagus to gorge on for the next two weeks, and share with others in hopes of winning them over to the light side. So what makes white asparagus so special? For most of my life, I wouldn’t have been able to tell you. I first learned of the vegetable with a pasty complexion while grocery shopping with my mom as a kid. It was pure luck when she found jars of Spargel lining a shelf in our neighbourhood supermarket one spring. To a kid who refused to get out of her comfort zone of peas, corn and potatoes, they looked ghastly. I silently prayed that my mom wouldn’t make me eat what looked like ghost fingers as she muttered “delicacy” and “wait until your dad sees these” while loading our cart. Kelly Martin harvests white asparagus at Janssen Specialty Produce near Delhi, Ont. Someone heard me. I don’t even recall offers of sharing the Spargel with me and my sister. I do remember my wrinkled nose at the dinner table being met with, “You kids don’t know what you’re missing,” said between pallid forkfuls. My opinion of white asparagus changed eight years ago when my husband and I travelled to Germany in May, the height of Spargel season when feasts and festivals in honour of the cultlike vegetable abound. We were visiting my relatives, who greeted us with a pot of white asparagus soup. Hungry after hours of lugging suitcases and changing trains to get from Frankfurt to their home in Zweibrücken, I didn’t protest when a bowl of ivory-coloured liquid was put in front of me. It only took one spoonful for me to realize the error of my ways all those years ago at the family dinner table. I asked for seconds. Maybe even thirds. I was ready to sign my Team Spargel membership card and make up for lost time. I ate them every chance I got during that visit and turned to Google to lead me to more white gold — to Janssen Produce and Specialties back home, so I could keep eating. White asparagus boast a mildly sweet flavour, one that’s even a little meaty when done right. But they require more work than their chlorophyll-filled cousins because they have to be peeled before cooking to get rid of the tough skins surrounding their tender insides. That’s why the Janssens never expanded their operation beyond three acres, and why no one else has picked up the white asparagus torch in Ontario. White asparagus must be peeled. 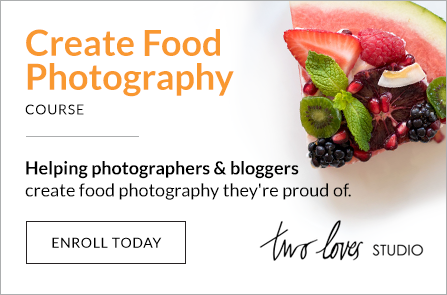 Shutterstock image. It’s also no easier getting into the business of growing white asparagus in Canada, something the Janssens have been doing for more than 20 years. It’s a costly endeavour; laborious, too. White asparagus are cultivated underground in mounds of earth that protect them from the sun’s chlorophyll-causing rays. A heavy tarp is laid overtop of each row of spears to ensure any tips poking through the earth remain untouched by light. When it’s time to harvest, workers on the farm use a homemade contraption on wheels and with wings that lift the tarps while they stab at the soil with an aptly named “jabber” to dig up mature spears. Ideally, white asparagus should be arrow straight with tightly closed tips and an inch thick when picked. That heft helps them withstand the peeling. The seeds, tarps and equipment have to be imported from Holland, said Leasa. Because of the work involved, the Janssens call it quits on the season every June 21. The couple did try growing more popular green asparagus for a few years but got next to nothing for their work. It was at a time when the Janssens’ tobacco-growing neighbours were trading golden leaf for green spears, flooding the market and sinking returns in the process. Meanwhile, white asparagus was bringing in about $7 a pound. Peter, who hails from Holland, wanted a niche crop when he purchased the farm 30 years ago. White asparagus and the Belgian endive he grows in a darkened barn year-round were it. “We grow the vampire vegetables,” joked Leasa. In the process, the couple has built a bit of a tourist attraction in Norfolk. Spargel-seekers come from as far away as Parry Sound and Quebec for some of the harvest, German soccer team schedule notwithstanding. They make a weekend out of it, eating Lake Erie perch while there and Janssens’ asparagus when they get home. Sure, they could go to the grocery store, where there was an effort a few years ago to make inroads with green asparagus-loving Canadians. However, they were stored, like their green cousins, in brightly lit produce sections with their ends submerged in water, said Leasa. White asparagus should be kept dry and in the dark, she added. All that light and moisture throws off their taste and texture, and does nothing to win them any more fans on this side of the Atlantic.